Marc Anthony is a multi-talented singer, dancer, actor, songwriter, producer, and fashion designer, plus one of the world's biggest pop stars. 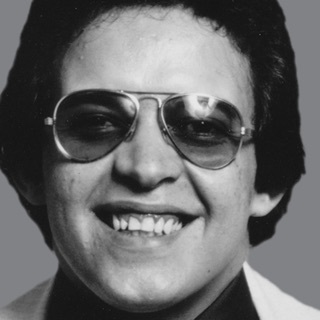 He is the top-selling salsa artist of all time and considered the only rightful heir to the throne of the late Hector Lavoe -- whom he played in a controversial Hollywood biopic. 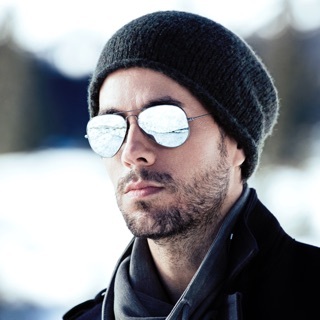 He has sold tens of millions of recordings and won multiple Grammys, Latin Grammys, and other awards. He has appeared in starring or support roles in numerous films including The Substitute, Big Night, Hackers, and Blue in the Face; he starred as Lavoe in El Cantante, in the television series Hawthorne, and in Broadway productions such as Paul Simon's The Capeman. Anthony's tours have been constant sell-outs since 1999, and he has placed many albums in the Top 200, beginning with 1997's Contra La Corriente and continuing through the second decade of the 21st century (3.0 in 2013). Obviously, there is little Anthony hasn't accomplished during his long, distinguished career and he continues perfecting his salsa chops and exploring new trends, from hip-hop to trap to electro. Instructed in music theory and composition by his father, Anthony grew up listening to Latin musicians, including Rubén Blades, Hector Lavoe, and Willie Colón, and contemporary pop recordings by Air Supply and José Feliciano. At age 12, Anthony and his sister were discovered by David Harris, a producer of demos and commercials; Anthony was hired to sing background on several productions. His songwriting skills became evident, and an early composition, "Boy, I've Been Told," became a Top 40 hip-hop hit for school friend Safire. Anthony subsequently sang background vocals on Safire's debut album. He also sang on albums by the Latin Rascals and Menudo. Teaming with producer and disc jockey Little Louie Vega, Anthony recorded his debut album, When the Night Is Over, in 1991. The Latin hip-hop-style album, which featured guest appearances by Tito Puente and Eddie Palmieri, included the single "Ride on the Rhythm," which reached the top slot on Billboard's dance music charts. On November 22, 1991, Anthony was the opening act on a show at Madison Square Garden that celebrated Puente's 100th album release. Anthony's second album, Otra Nota (produced and arranged by Sergio George), was a better representation of Anthony's salsa roots and included the original tune "Juego o Amor." Todo a Su Tiempo, released in 1995, was a continuation of Anthony's collaboration with George. With his fourth album, Contra la Corriente, Anthony began working with producer/arranger Angel "Cucco" Peña, and it won the 1999 Grammy for Best Tropical Latin Performance. A self-titled English-language album released in 1999 was an overt attempt at crossing over to the mainstream, and it did reach the Top Ten of the main Billboard album chart, with "I Need to Know" peaking at number three. While 2002's Mended was an even greater commercial success, Anthony continued to release Spanish-language albums that were closer to his roots, like 2001's Libre and 2004's Amar sin Mentiras. His profile was only raised by starring as salsa legend Héctor Lavoe in 2007's El Cantante, which co-starred his wife, Jennifer Lopez. All of the Lavoe songs in the film were sung by Anthony, and the El Cantante soundtrack album was released featuring these versions.